At Aurora Borealis Wholesale we are helping lead the craft beer revolution by providing handmade, authentic, full flavored beers. Each one of our brewery partners has a unique story to tell and we’re here to help tell that story. On your behalf, we invest time in hand selecting the beers we represent by creating lasting relationships with our brewers which most importantly provides you, our customer, with a sensational experience. A deliciously drinkable German Alt, brewed in the tradition of a Düsseldorf brewery founded in 1848. Our taproom’s copper kettle dome hails from there as the inspiration for our copper-hued Alt. The game of curling embodies what it is to be a Minnesotan; friendly, courteous, and honest. Respecting etiquette since the first game was played on a frozen pond in Scotland in 1541, the tradition of broomstacking exemplifies these qualities. Broomstacking, literally the stacking of brooms, occurs when teams end play with this symbolic display, signaling to the rest of the players to enjoy a libation together. A heavenly Hefeweizen created by our head brewer. With a hazy golden hue and aromas of banana and clove, the Bavarian style brew pairs pale wheat wth malted barley and finishes with a bubbly foam halo. Globally Sourced + Locally Brewed. The Utepils IPA blends our Belgian ale yeast with traditional European-sourced hops and American West Coast varietals. 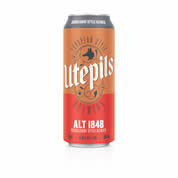 UTE = OUTSIDE | PILS = BEER;NORWEGIAN FOR THE FIRST BEER ENJOYED IN THE SUNSHINE AFTER A LONG, DARK WINTER. 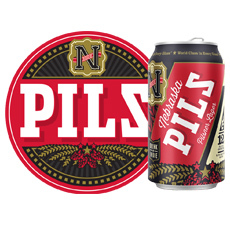 OUR SIGNATURE PILSNER IS BREWED WITH CZECH-GROWN BARLEY AND HOPS; FERMENTED WITH A CZECH LAGER YEAST STRAIN. When Jürgen Knöller arrived in Montana in 1987 to take up his position as Brewmaster for Bayern Brewing, he was given the task of creating a beer that would win the hearts and taste buds of Montanans who wanted, according to popular demand, a beer that is a traditional German Märzen beer with a distinctive hop flavor. After some consideration, Jürgen came up with Bayern Amber. To reach this delicate middle ground, Bayern Amber is made with the same type and quantity of malted barley used in German Märzenbiers (an amber, rich “festbier”), and then hopped in the manner of existing Czech-style pilseners. So go ahead, have a Bayern Amber and taste Bayern’s legacy, which has become a bit of living Montana history. Characteristics: German Märzenbier lager with a distinct hop flavor. Unlike its top-fermenting counterparts, this hearty German Dark Lager beer does not have a rough bite usually found in a porter or a stout. 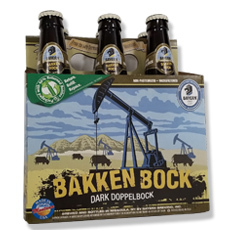 Bayern Doppelbock is dark, smooth and has plenty of hops and malt. It has a starting gravity of >18 degrees plato (7.8 – 8.4% ABV). 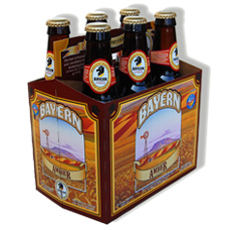 Bayern Bakken Bock is just the the beer originally brewed in the 9th century by Bavarian Benedictine monks. Characteristics: Dark, smooth, plenty of hops and lots of malt. Hefeweizen is an unfiltered classic in Bavaria (“Hefe” means yeast, a small amount of which remains in the beer). In 2004, Bayern Brewing introducing a dark Hefeweizen, otherwise known as a Dunkelweizen (dark wheat), to the line-up: Dragon’s Breath Dark Heff. 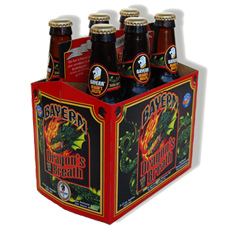 Dragon’s Breath Dark Heff is mild in taste, unfiltered, and 6% Alcohol by Volume. It is moderately-hopped with Bavaria’s preeminent Hallertauer Perle hops and is cold fermented, eliminating any harsh aftertaste. Jürgen Knöller, Bayern Brewing’s proprietor and Brewmaster, brewed this beer style at four different breweries in Bavaria in the early eighties. His Dark Hefeweizen won Gold at the prestigious German DLG (German society of Food and Drink Producers Association) annual competition consecutively from 1980 through 1985. 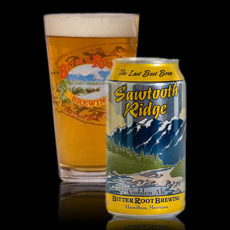 Jürgen’s same brew, introduced at a major U.S. beer competition for the first time under the label “Dragon Breath Dark Heff”, received the Silver Medal at the North American Brewers’ Association 2008 Beer Awards. Characteristics: A smooth, dark wheat beer with a little yeast and lightly-hopped. 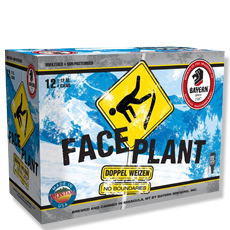 Since Bayern produces beer brewed in the Bavarian tradition (Bayern means Bavaria in German) our list of beer styles would not be complete without Face Plant Doppelweizen. This decoction-brewed, top-fermented, unfiltered wheat bock beer is the counterpart to Bayern’s famous Doppelbock Lager. The recipe uses five types of malt (Wheat, Pilsener, Caramel, Munich and Chocolate), and has an o.g. of > 17 % Plato (7.5 % Alc. by Vol.). As with all Bayern wheat beers, Face Plant surprises with its complex flavor. German Hallertauer Perle hops gives this hearty bock-style beer a perfectly balanced sweetness. The formulation for this beer came from the Brauerei zum Schiff, which was founded in 1540 in Kaufbeuren, Bavaria. Bayern Brewing’s proprietor, Jürgen Knöller, was one of the last brewers to produce this beer before the brewery sadly closed its doors in 1979 due to the owner’s passing. The Bayern team decided to recreate this beer style in fall of 2007. Despite the relatively high amount of energy, raw materials and extra labor used to brew each batch, Bayern continues to brew Face Plant and its popularity continues to grow. Thus, Doppelweizen has been revived here in the USA! We hope you will enjoy a piece of living beer history and a beer that is truly rare, even in the Northwest’s highly-diversified market. Mondak Pump Jack is Bayern’s version of a Bavarian staple lager beer. 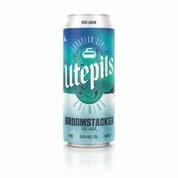 Light in color, this lager is decoction-brewed, giving it a full body and cold-fermented for the ultimate in smoothness. Using Hallertauer Magnum as the primary hops and Tettnang for aroma (both imported from Germany), it is well-balanced with a total of 25 IBUs. 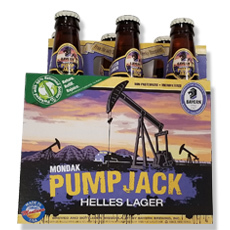 With a 5.6% ABV, MONDAK PUMP JACK lives up to the quality and deliciousness you expect from Bayern Brewing. 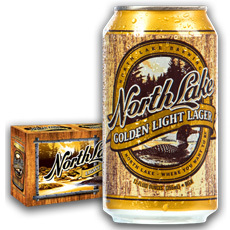 Characteristics: Full-bodied but light in color, this is true German beer…made in Montana. 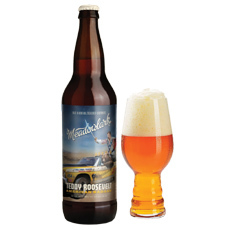 Brewed for St. Patrick’s Day, Killarney was created to honor the Irish influence on Montana’s culture. Brewed first in February of 1988, before any other American breweries came out with their versions of an Irish Red style beer, Killarney is Jürgen’s invention of the beer style and one of his favorite Bayern beers. It is brewed with two-row pilsenser, caramel, Munich, wheat and German Dunkel malt. 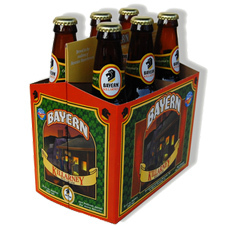 Bayern Killarney has an alcohol content of 5.7% Alc. by Vol. (14.2% Plato o.g.) and is available seasonally in draft and bottles. 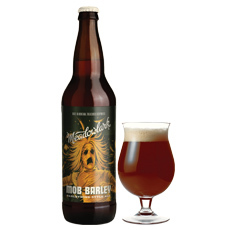 Characteristics: Amber color, sweek light bodied with hint of hops. 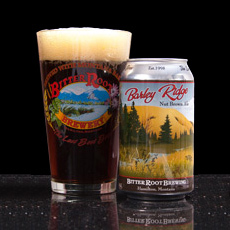 Gluten Reduced English and American brewing techniques, combined with generous amounts of Amber, Brown and Honey Malts, give Bitter Root Brewing’ s Nut Brown ale its nutty, sweet character. Characteristics: Aroma malt, chocolate, coffee, subtle hops. Bitter Root’s summer seasonal is infused with just the right amounts of Huckleberry and Honey to perfectly balance this summertime treat. The delicate honey and huckleberry aromas are balanced with wheat and hops to create a refreshing ale for the hot days of summer. 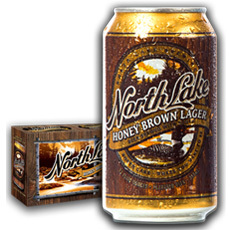 Brewed with all-natural huckleberry, this light beer is a Montana favorite! Characteristics: The delicate honey and huckleberry aromas are balanced with wheat and hops to create a refreshing ale for the hot days of summer. 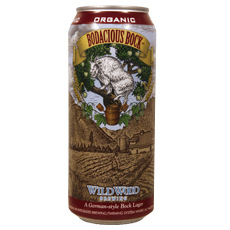 Characteristics: Light hoppy and grassy aroma with similar taste profile. 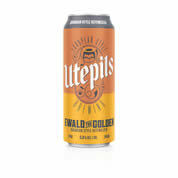 Gluten reduced and brewed with wheat and rye, this golden ale will take care of your taste buds with its light body and delicious crisp flavors. Characteristics: Dry pale malt with only hints of grassy hops and smooth finish. 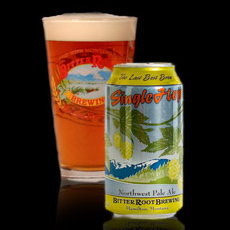 This Northwest Pale Ale is brewed exclusively using CTZ hops. 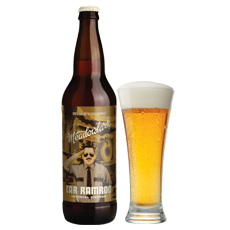 This medium bodied brew has citrus and grapefruit flavors with a long yet dry hop finish. Characteristics: Floral aromas, then settles into some nice citrus elements. 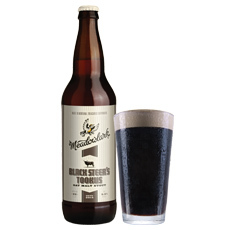 A dark porter that delivers roasted toffee-like flavors and a lighter, refreshing body. 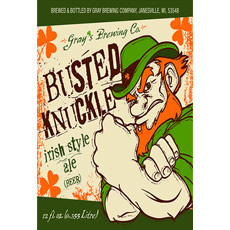 A traditional Irish-style ale starts with a sweet caramel malt punch and finishes with subtle hops. Our award winning stout is brewed with aromatic hops & rolled oats for a creamy body and smooth taste. Sidney, Montana…where the badlands meet the plains. It’s the perfect dichotomy of Mother Nature’s picturesque beauty. It’s also a subtle reminder of the duality of the human spirit. Like the land itself, any one of us can be kind and gentle, or rough, tough and unforgiving. Regardless, there’s beauty present in all things. 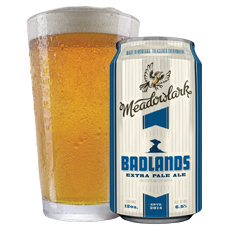 Meadowlark has incorporated the best of both worlds in this beer: the malt profile of an easy-drinking pale ale and the aroma and flavors of an IPA, without it’s bitterness. It’s kind of like the badlands themselves: rugged terrain that’s still easy on the eyes. 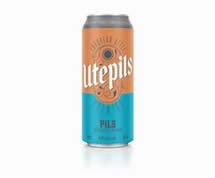 Characteristics: A tangerine-gold ale, crisp with moderate bitterness and floral notes reminiscent of tropical fruit, lemons, and grapefruit. Sometimes there’s a beer, well it’s the beer for its time and place. 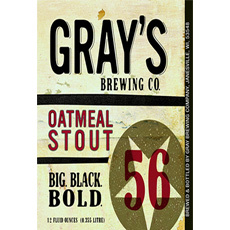 This Oat Malt Stout fits right in there. 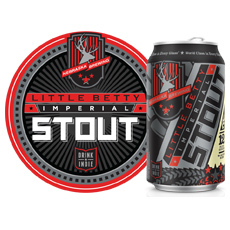 With slight overtones of roasted coffee, it’s surprisingly smooth and despite that it’s darker’n a black steer’s tookus on a moonless prairie night, you can drink it as if there were no bottom. Well, a wiser feller than myself once said, “Sometimes you eat the bear…sometimes the bear, well, he eats you.” I like your style, dude. Characteristics: A velvety smooth stout made with malted oats and British ale yeast. Pitch black with roasted coffee hints and a cocoa finish. A strong Bohemian pilsner brewed with Czech lager yeast. It pours a brilliant bright gold with creamy white head and features a crisp hoppy bitterness segueing into soft malt flavor. Characteristics: Crisp hoppy bitterness segueing into soft malt flavor. This India Pale Ale or IPA to the layperson is bursting with hops, etc. Malty undertones with a distinct bitterness, etc. Using a variety of hops, etc. And utilizing distilled Hopz® oil for maximum aroma, etc. All you could want in an IPA, etc, etc. 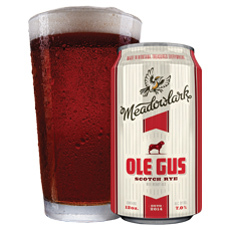 Medium-bodied ale that pours an amber-gold with aromas of maple syrup. Brewed with local honey and Candy Cap mushrooms. 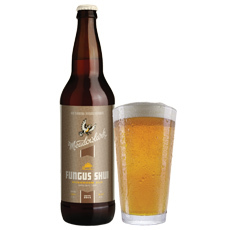 Mushroom beer…the fungus umungus? This crazy idea for a beer was concocted by tri-clamp ninjas from the Far East of Montana. These days, brewers are much in tune with gastronomy and beer’s rightful place as the best accompaniment to cuisine. 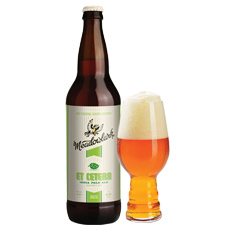 For Meadowlark Brewing, they have a passion for something they call crypto-gastronomy. They love it when you taste an ingredient that they didn’t use. When they heard that there was a mushroom that smelled and tasted like maple syrup, they knew what the next beer was going to be. Fungus Shui has a powerful earthy maple syrup flavor and aroma. They’re not sure if this beer has any ancient healing effects, but it likely tastes delicious with a bowl of vanilla ice cream. Characteristics: Medium-bodied with aromas of maple syrup. Cream ale is a traditional beer that emulates the American Lager. Light-bodied smooth and unbelievably drinkable. It’s the perfect lawnmower beer for a hot summer day. The Harvester is a beer everyone can drink, whether you spent your day out fixin’ fence, just unloosed your tie, or want to kick back with your girlfriends. Characteristics: Light-bodied, smooth and unbelievably drinkable. 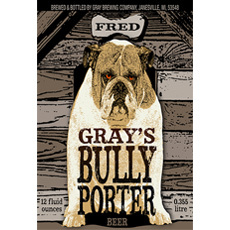 Characteristics: Full-bodied ale with caramel-toffee flavors accentuated by a strong bitter finish. Full-bodied with robust caramel malt notes, this ale features a slight crispness married to subtle fruity esters from Edinburgh ale yeast. It displays a dark ruby color harboring a smooth finish with a touch of warmth. Gus, a Neapolitan Mastiff, was a big, black, slobbery companion to Travis and Emily, Meadowlark’s founders. Gus enjoyed long walks on the beach, beer only off a hot sidewalk, and refusing to get off the couch or the bed. They tribute Ole Scotch Rye to man’s best friend and think you will find this beer is like its namesake: big and bold, but with a gentle, sweet finish. Cheers to man’s best friend! Characteristics: Full-bodied with robust caramel malt notes. An American Wheat beer brewed with 40% malted wheat. 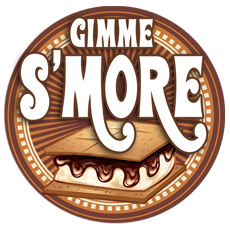 This beer starts sweet but finishes with a refreshing tart smack. The craft beer scene is full of faux fruit beers. You know these beers because the artificial flavoring makes the beer taste like candy, Chapstick, or soda pop. Real fruit means real flavor. Meadowlark carefully blends this American Wheat Ale with peach concentrate so as to retain the flavor of the underlying malts, and add an accent of sweet, tart fruitiness. Move to the country, eat a lot of peaches, and beware of ninjas. Characteristics: Starts sweet but finishes with a refreshing tart smack. 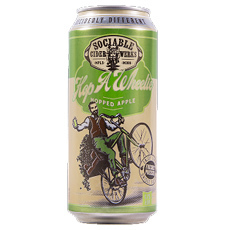 Smooth- bodied Imperial Wheat IPA with hop characteristics of watermelon and stone fruit. Teddy is oak-aged, dry-hopped, and infused with distilled hop oil, delivering a dynamic American IPA Experience. It was long rumored that Teddy Roosevelt once killed a Yeti with his bare hands…blind-folded and naked…while rafting down the Yellowstone. A photo later proved that to be fraudulent. It was a bear, not a Yeti. Bell-up to the bar with the head rough rider himself. Bully! 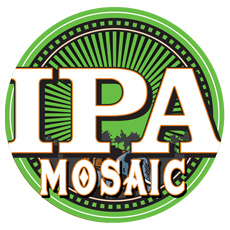 Characteristics: Smooth- bodied Imperial Wheat IPA with hop characteristics of watermelon and stone fruit. 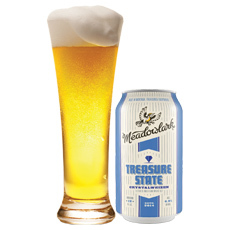 Meadowlark brews this filtered wheat ale in celebration of the place we call Montana. Its natural splendor surpasses any trove of gold or gems. Made in Montana. Treasured Everywhere. Characteristics: Filtered Wheat Ale crisp and light. Nebraska Brewing Company’s version of the classic English-style Brown Ale has a blend of six different malts and a hop schedule that results in a low hop bitterness. The unique malt character brings to mind the taste of a blend of various nuts. Toasted breads and a light woodiness also come to mind in this excellent seasonable ale. Amber to brown in color, perfectly clear, and a perfect match for the end-of-day gathering. 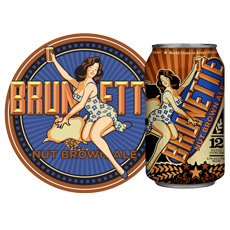 Characteristics: Nutty with a sweet malty background. Nebraska Brewing Company’s American Pale Ale is golden in color, mildly bitter, and characterized by the citrus-like aromatics, which are the result of an additional dry hopping with a massive amount of Cascade hops, the signature element within this beer. Crisp, crystal clear, and completely enjoyable. Characteristics: Clean malts and citrus. This creamy, hazy and richly golden beer is accurately described as a Bavarian Hefeweizen. Slightly sweeter in style, it evokes thoughts of wheat and grain that mesh beautifully with a yeasty, slightly clove-like banana aroma to create one of our most pleasurable ales. 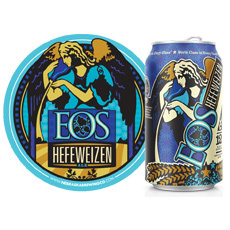 An award winning Hefeweizen from the heartland. Characteristics: Clean blend of wheat grain, clove and banana. A rich, full bodied Barley Wine with a wonderfully warming character from the malts & dark brown sugars. Held to the light, its burgundy color is fitting for a bigger beer that has aromatics that hint of the oak, the whiskey, the somewhat sweet nature, and molasses that makes this beer truly unique. 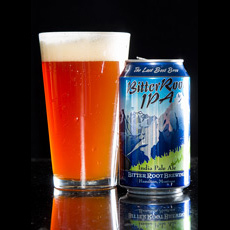 The non-barrel-aged version of this beer took Silver in the 2009 US Open Beer Championships. Using Stranahan’s Whiskey barrels, we aged this beer for 6 months to impart a small amount of oak tannins and the whiskey character that combine to elevate this beer beyond its original entry into this world. Excellent to enjoy now and cellerable for years. Characteristics: Oak, whiskey and molasses. Nebraska Brewing’s West Coast inspired India Pale Ale is rich in flavor and abundant in citrus-like, piney, and resiny aromatics created through a wonderful infusion of Citra hops. Completely refreshing, assertive, bordering on aggressive, crisp bitterness. Characteristics: Pine, citrus and hoppy. Nebraska Brewing’s take on a robust Americanized Russian-Style Imperial Stout. Moderately hopped to liven up a richly malted classic. 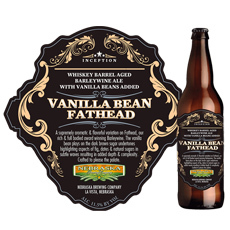 This is the base beer for Nebraska’s insanely popular barrel aged Reserve Series variants. You’ve worked hard. You’ve earned this. Characteristics: Roasted malt, dark chocolate and a bit of coffee. 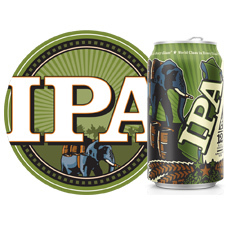 Nebraska Brewing took their West Coast style India Pale Ale, which is already abundant in citrus, pine, and floral aromatics and flavors, and kicked it up a notch with the tangerine notes of Mosaic Hops. Characteristics: Citrus, tangerine and mango. Nebraska was home to many wonderful breweries before us. This beer pays homage to some of The Choicest Products of the Brewer’s Art. Wonderfully bright and pale in color with a satisfying malt flavor. Characteristics: Floral and herbal flavors with a dry finish. 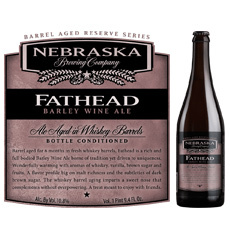 A supremely aromatic and flavorful variation on Fathead, Nebraska’s rich and full-bodied award winning Barley Wine Ale. The vanilla bean plays on the dark brown sugar undertones and brings forth notes of fig and dates in subtle waves resulting in added depth and complexity. Crafted to please the palate. Characteristics: Vanilla, brown sugar, figs and dates. Ideal for those hot summer days on the water. Perfect for those cool nights around the campfire. 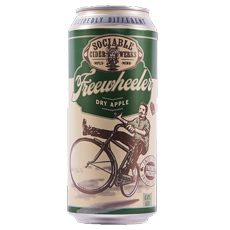 Freshly pressed Midwestern apples brewed with a touch of cane sorghum and Willamette hops to add mouth feel and structure. Characteristics: Dry apple, acidic, clean finish taste. Faint apple, earthy, subtle yeast aroma. Freshly pressed Midwestern apples brewed with a touch of cane sorghum then dry hopped with Chinook, Cascade, and Golding Hops. Characteristics: Juicy grapefruit, lemongrass, subtly bitter taste. Hop-forward, floral, orange peel aroma. 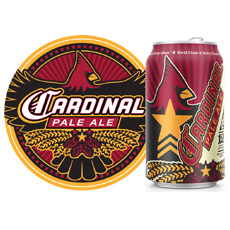 Characteristics: Flavors of golden grain malt, lager yeast and a touch of spicy hops. Characteristics: Sweet aroma of bready malt, caramel and grain with lemon. Our passion is to provide high-quality beer to the regions that we are privileged to serve. We are very proud of our portfolio and our culture. It is contagious. 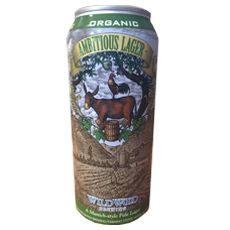 For more information about Aurora Borealis Wholesale’s craft beers, spirits, wines, and the liquors and non-alcoholic beverages we provide, please fill out our contact form or email us at contact [at] abwholesale.com.